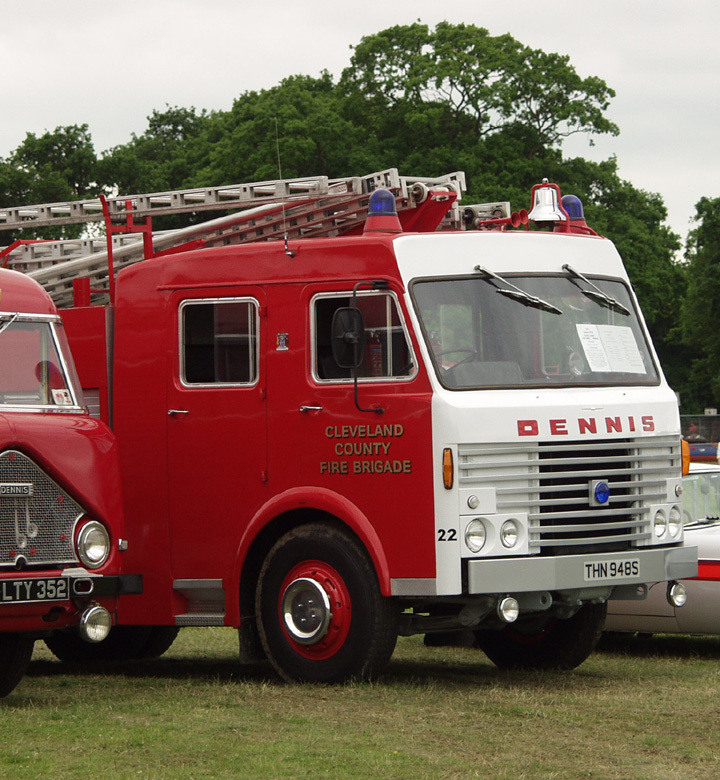 This is a Dennis 'R' Type pump originally with County Cleveland in the North East of England, which is now in preservation. Again the points to note are the white painted front and the use of both a bell and two tone air sirens mounted on the roof. Added by BOB CARVER on 26 February 2007.